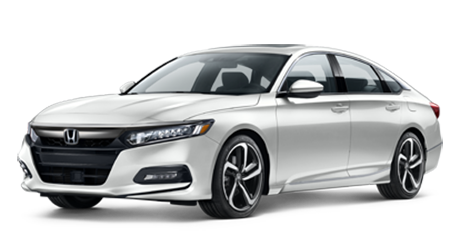 The refined new Accord sedan offers a choice of three highly efficient powertrains along with standard Honda Sensing® driver-assist features to deliver an advanced new ride for all. Secure a new Honda Civic in sedan, coupe or hatchback form and take advantage of its innovative cabin technologies and sporty performance. Test drive the Civic today! Take your family's adventures to the next level with a new Pilot three-row SUV from Honda. With seating for up to eight and advanced safety tech, what's not to love? 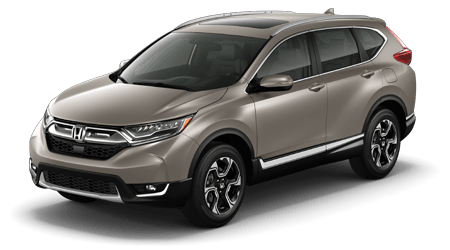 Get into a new CR-V powered by an available turbocharged engine and see why this latest edition of Honda's compact crossover SUV is setting a new benchmark for versatility. Premier Honda is a new and used car dealership that serves drivers from throughout the New Orleans and Metairie, LA area with a range of new and pre-owned vehicles and automotive services. 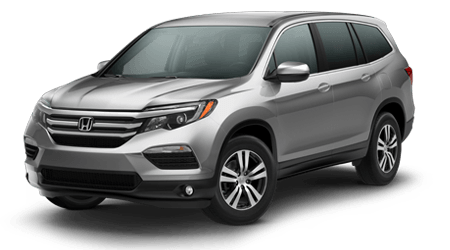 We invite you to shop our new Honda inventory or used car selection now to secure a stylish and affordable car, SUV or pickup truck for all of your travels in New Orleans and beyond. Our full-service Honda dealership offers competitive rates and dynamic specials that make it possible for you to take home an exciting new or new-to-you automobile. With professional auto loan assistance and maintenance services also available, Premier Honda is your source for new and used Honda sales, financing, service and more. Finding a premium Honda dealership doesn't have to be so hard. Premier Honda is waiting for you with exclusive selections of cars, trucks, and SUVs in New Orleans, LA. What better way is there to explore the French Quarter than with a new HR-V or Civic leading the way? Talk with one of our finance professionals today and learn more about your vehicle options––you won't regret it. We've been proudly serving Gentilly locals forever, so come down and access our selection of genuine Honda parts and Honda maintenance by Gretna. There's so much to enjoy about our Honda location. Whether you're here lease a new Accord or want to talk to someone about car financing for bad credit, we can help. Bad credit auto loans are not as scary as they sound. All it means is that you're gaining access to credit that might normally be denied to you by other lenders. Why do we do this? We believe that everyone deserves access to reliable Honda vehicles, regardless of their derogatory marks. You need a car to get to work, school, and appointments. It's smarter to invest in a vehicle that's gone through a rigorous inspection process at Premier Honda, than it is to take your chances on Craigslist, Inc. We believe that innovation starts at home, so we offer bad credit financing for less-than-perfect scores. Not sure if you qualify? Apply online now! There are tons of Honda car dealerships near the French Quarter, but they do not offer the same type of services that we do. We are trying to do more than sell cars to locals here at Premier Honda––we're building relationships. It is our dedication to your relationship with us that also leads us into community outreach. We help tons of organizations with their events so that we can leave a mark on the people that help build us up. It is our pleasure to do more, and be more. Our Honda dealership carries an impressive inventory of exciting new models to explore, so visit our convenient location near Metairie, LA to secure a test drive of a new Honda CR-V. We also make our complete inventory of new Honda automobiles available on our website for you to peruse before visiting our New Orleans dealership for a closer look. Our friendly Premier Honda sales team is up-to-date on all the vehicles we showcase on our lot and are eager to walk you through the various technology and safety features and trim options available for your purchase as well as warranty and financing packages. Find out how you can get your vehicle appraised so that you can upgrade to a new Honda Civic at Premier Honda today. Browse our pre-owned vehicle inventory today so that you don't risk missing out on taking home a dependable and well-appointed used Honda. We subject every pre-owned vehicle we offer to a multi-point inspection, meaning that you can have confidence in the quality of our used cars, SUVs and pickups for sale. 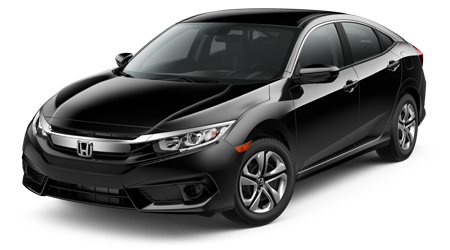 Plus, our Honda Certified Pre-Owned (CPO) vehicles have passed a rigorous inspection process and come backed by an updated factory warranty for buying confidence. Browse our used cars online now, then stop by for an in-person introduction and test drive. Our sales associates are here to assist with your used car search, so don't hesitate to contact us about any pre-owned Honda vehicles in stock that have caught your attention. Our Honda finance department is here to help you drive home that new or pre-owned Honda you're enamored with, no matter what your credit score is. We offer highly competitive auto loan rates, so reach out to our finance staff to learn what kind of financing you can obtain with a flawless credit rating. We also provide an array of alternative financing packages for drivers in sub-prime credit situations. Our finance associates are well-versed in the entire auto loan process, so we encourage you to submit a copy of our no-obligation credit application so that our team can get to work securing competitive loan packages on your behalf! Whether you are a DIY type or you plan to have your Honda serviced by the professional automotive technicians at our service center, you'll find a stellar selection of genuine Honda parts available at our New Orleans, LA dealership. No matter what time of auto maintenance or upgrading you have in mind, we have the factory Honda parts you need at the right prices! Talk to our Honda parts specialists about your at-home auto project or send us a Honda parts request form through our website so that we can compile the items you'll need. From brake pads and rotors to new car batteries, air filters, oil filters and genuine Honda accessories, our dealership's parts center has Metairie, LA drivers covered. The automotive service technicians we employ here at the Premier Honda service center are factory-trained and Honda and ASE Certified. Our mechanics know what services and parts are needed to help your Honda maintain its performance and dependability. While you are here on our website, schedule service for your next oil change, tire inspection or recommended maintenance today. We only use genuine Honda parts and accessories and recommended fluids when servicing Honda vehicles to ensure the proper result, and we regularly offer service specials that help you stay on track of your vehicle's correct maintenance timeline in a highly affordable manner. There's even complimentary coffee in our customer lounge area, so visit us for auto service today! Our new and used Honda dealership in New Orleans, LA is eager to welcome you in and take care of all of your automotive needs. Whether you're looking for information on your next Honda or need a new set of tires for your current Honda, we're here for you. Take a tour of our dealership and our many automotive services here on our intuitive website, where you can shop our new and pre-owned inventory, view Honda lease and finance offers, get pre-qualified for auto loans and contact our dealership staff for assistance.